When your asking price is too high . . . Beware! | Your local real estate experts. 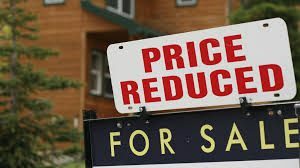 When Your Selling Price is too High you should beware of how that can have a negative impact! 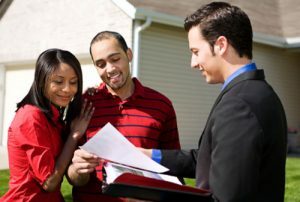 So you’ve decided to sell your home and have a fairly good idea of what you think it is worth. Being a sensible home seller, you schedule appointments with three local listing agents who’ve been hanging stuff on your front doorknob or mailing to you for years. Each Realtor comes prepared with a “Competitive Market Analysis” on fancy paper and they each recommend a specific sales price. Amazingly, a couple of the Realtors have come up with prices that are lower than you expected. Although they back up their recommendations with recent sales data of similar homes, you remain convinced your house is worth more. When you interview the third agent’s figures, they are much more in line with your own anticipated value, or maybe even higher. Suddenly, you are a happy and excited home seller, already counting the money. Do you choose the realtor who told you what you wanted to hear . . . . . . . If you’re like many people, you pick Realtor number three. This is an agent who seems willing to listen to your input and work with you. This is an agent that cares about putting the most money in your pocket. This is an agent that is willing to start out at your price and if you need to drop the price later, you can do that easily, right? After all, everyone else does it! The truth is that you may have just sold your listing to the highest bidder but that agent is probably doubtful that your home will actually sell at that price. The intention from the beginning is to eventually talk you into lowering the price. Why do agents “buy” listings? Basically, a well-meaning and hard working agent can feel pressure from a homeowner who has an inflated perception of their home’s value. However, you should choose the agent that can provide you with that most opportunities to sell your home at the highest price in the shortest amount of time and that comes with experience, work ethic, and company affiliation. Contrary to popular opinion, the listing agent is less enthusiastic about trying to sell your home to a homebuyer. That isn’t very efficient. Listing agents market and promote your home to the hordes of other local agents who do work with homebuyers, dramatically increasing your personal sales force. During the first couple of weeks your home could be a flurry of activity with buyer’s agents coming to preview your home so they can sell it to their clients. Later, when you drop your price, your house is “old news.” You will never be able to recapture that flurry of initial activity you would have had with a realistic price. Your house could take longer to sell.